UK SMEs are gearing up for a new future of international post-Brexit trade as more payments begin to flow outside of the European Union, according to the latest Global Trade Barometer from WorldFirst, the international payments expert. According to the survey of more than 1,000 small and medium sized businesses, one in four SMEs is looking to export to a new country in the next quarter. Up slightly on Q1 2017, the figures demonstrate how UK businesses have started to come to terms with the ongoing Brexit uncertainty and develop new trading partners beyond the European Union. The survey also found that 30% of small businesses are now positive about their prospects for international growth, a recovery of 5% from Q4 2017 when confidence was at an all-time low. For those SMEs currently trading internationally, business is booming. The average small business made overseas transfers of £48,000 in Q1 2018 as a result of international trade – up 5% on Q4 2017, and notably the second highest figure recorded by the Global Trade Barometer in over two years. Both importing and exporting to and from countries outside of the EU, in particular China and the United States, has remained steady throughout the first quarter. 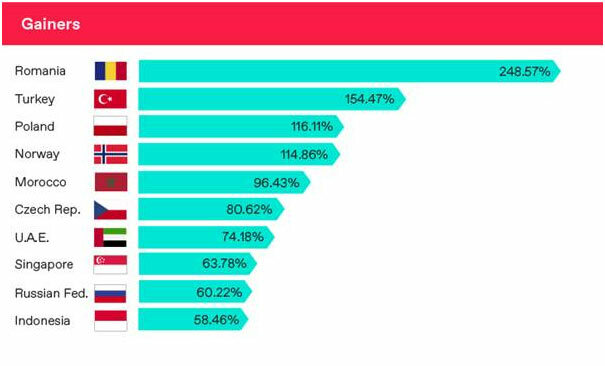 Crucially, of the ten markets that saw the largest growth in payments from UK SMEs in Q1 2018, seven are outside the EU including Turkey, Norway, Morocco, Singapore, Russia, Indonesia and the UAE. After a year of negative headlines and downbeat growth projections, many small businesses are now beginning to seize global trade opportunities. Despite this more confident outlook, almost half (46%) of those surveyed felt that some form of external support would encourage them to export more. 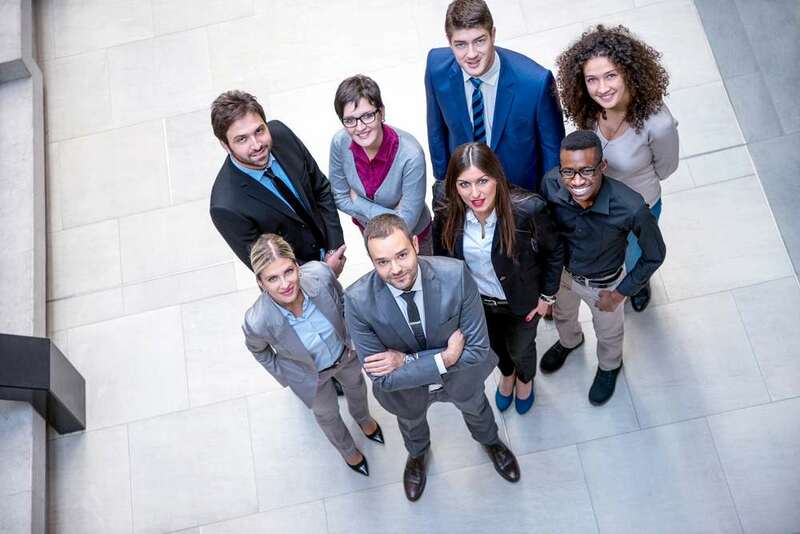 Specifically, nearly one in five (18%) are looking for support to find international partners, while 17% want to see the government do more to help them trade overseas. In addition to calling for greater support, UK SMEs are also exploring alternative ways to do business to achieve their international trade aspirations. Almost one in ten (9%) small businesses have or are considering switching from their traditional bank to a fintech provider for their FX transfer needs, while only one in five (22%) have no plans to consider a new way of handling their international finances at all. Jeremy Cook, Chief Economist at WorldFirst, said: “It is promising to see so many UK SMEs starting to look past their Brexit blues and develop coping strategies to push their exporting aspirations forward. “The UK government has not been shy in promoting the benefits of building a nation of exporters over the last year, but this survey shows that more needs to be done to support our smaller businesses. 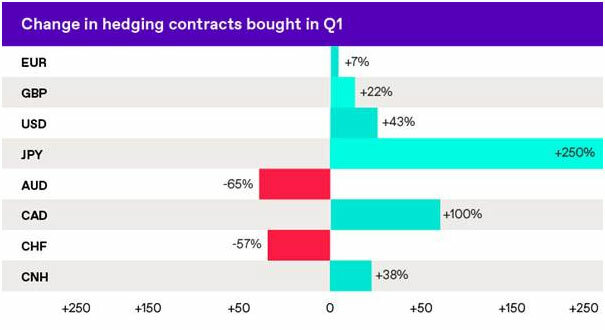 This new found optimism is echoed by WorldFirst’s own data on client hedging behaviour which identified an increase in contracts across six of the eight most popular currencies traded through the business in Q1. This increase in activity suggests that as SMEs look to do more business internationally they are also looking to protect themselves against any potential currency fluctuations. UK SMEs were also found to be diversifying their business in emerging markets with countries in Eastern Europe, Africa and the Middle East experiencing big increases in payments from the UK. Jeremy Cook added: “UK SMEs are continuing to look beyond Brexit and refusing to shy away from international trade. By looking to do deals in emerging markets, these businesses are clearly keen for new ways to inspire growth through global expansion and are taking opportunities as they come.